Do you have a birthday coming up? 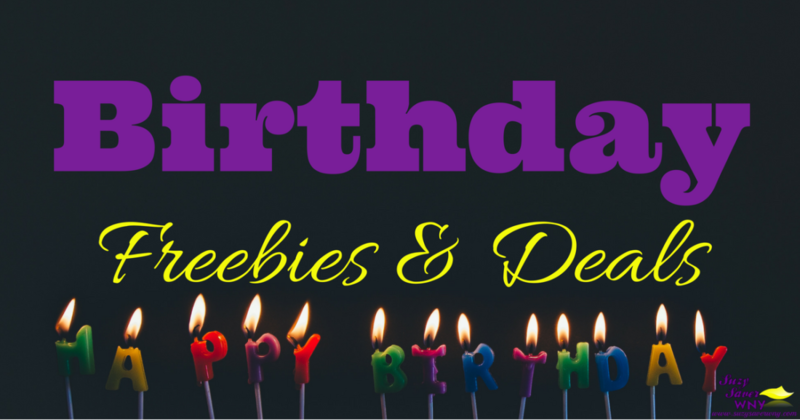 Check out all the FREEBIES and and DISCOUNTS that you can get during your birthday month. If you have children, be sure to sign them up. Many companies have special kids club deals too! We have a HUGE LIST great birthday offers. Most offers will be sent by email during your birthday month. Just click on the company or product name to sign up! Applebees – FREE Entree with the purchase of another entree of equal or greater value. 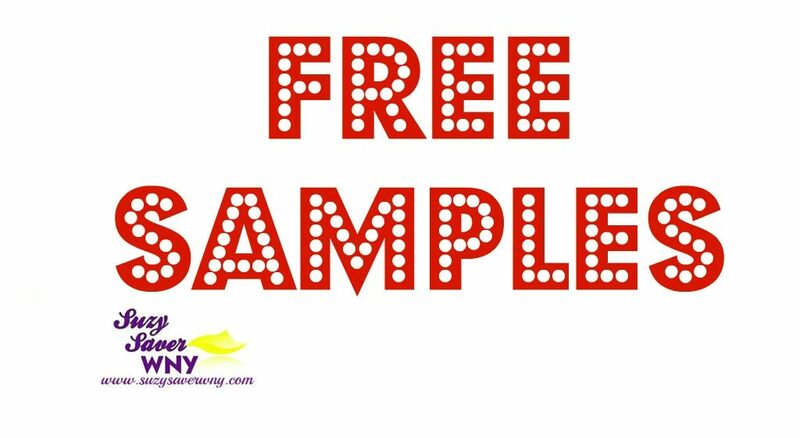 Arby’s – FREE 12 oz shake with any purchase. Barnes Noble Kids Club – FREE cupcake for kids. Boulevard Mall – FREE $10 Boulevard Mall Gift Card. Buffalo Wild Wings – FREE Dessert coupon. Buffalo Chophouse – FREE Birthday Dinner Entree, with the purchase of a second entree. Carrabba’s Italian Grill – FREE Dessert with Entree purchase coupon. Chili’s – FREE Brownie Sundae coupon. Cold Stone Creamery – Buy 1 Get 1 FREE Creation coupon. Colgate Smile Talk – $1/1 Colgate Total Advanced Toothpaste coupon. Dairy Queen – Buy 1 Get 1 FREE Blizzard coupon, PLUS $3 off any 8″ – 10″ Blizzard Cake. Disney Movie Rewards – 100 Bonus Disney Movie Rewards Points. DSW – $5 off $5 or more coupon (OR) Premier status members get $10 off $10 or more. Famous Dave’s Barbeque – FREE Dessert with Entree purchase coupon. Famous Footwear – $5 off a purchase of $5 or more coupon. Farm Rich – $2/1 Farm Rich Snack coupon. Hostess – Buy 1 Get 1 FREE Hostess coupon. John Frieda – $1.50/1 Full Size John Frieda product coupon. Kidorable – 20% off coupon code, PLUS a link to a FREE printable coloring book. Kmart Kids Club – $5 Birthday coupon. Kohl’s – Special Birthday Offer coupon. Moe’s Southwest Grill – FREE Entree coupon. Nature Made Vitamins – 25 Bonus Nature Made Wellness Reward points. Old Country Buffet – Buy 1 Get 1 FREE Dinner Entree coupon. Old Navy – Coupon for $10 off a purchase of $50 or more. Orange Julius – Buy 1 Get 1 FREE drink coupon. Redbox – FREE 1-day DVD rental. Ruby Tuesday – FREE Handcrafted Burger coupon. Smokey Bones – FREE Slice of Cake coupon. Starbucks– FREE Handcrafted Beverage coupon. Sunset Bar and Grill – One FREE Chicken Wing for every year of your life. T.G.I. Friday’s – FREE Dessert with Entree purchase coupon. Wendy’s – $1.00 off premium combo coupon. Many of these companies will also send you a coupon just for signing up for their email list. Did I miss any birthday offers? Be sure to stop back and let us know! Thanks for this. My birthday is in December and I had been thinking about signing up for stuff. It takes time to sign up but it looks like there are some good presents! There are definitely some good ones out there. My favorites are the Famous Footwear & DSW (free socks! ), Toys R Us, Kohls, Kmart, & CVS. I always enjoy my free meal at French Pub too! If you sing up for Tony Burch emails and add your birth date they will send you a $50 off of $50 birthday coupon.